Town Foundation supporters Ferno will sponsor Chairman Dean Hoyle’s ‘Chairman’s Lunch’. Formerly a Huddersfield Town Club Partner, Ferno has been supporting the Foundation since 2013 and in October of that year they donated £4,000 to the charity (click HERE). The partnership with the Foundation was extended in April 2014 when they made a further donation of £3,000 to help support the charity’s Early Kick-Off Breakfast Club initiative. In a further effort to support the charity they have become title sponsors on the inaugural ‘Chairman’s Lunch’. On Friday 26 September, Dean Hoyle will hold his first ‘Chairman’s Lunch’– and he’s invited some of his most esteemed colleagues to join him. Atop the VIP guest list is Dr. Assem Allam, Owner of Premier League Hull City. The 74 year-old Egyptian businessman made his name as a leading manufacturer of industrial generators, but has since hit the headlines as the man in charge of Hull City, leading them to the top flight and never failing to give his forthright opinion on many matters. Dean and Dr Allam will also be joined by Wigan Athletic Owner Dave Whelan. Another of the game’s big characters, Dave is the mastermind behind the Latics’ meteoric rise up the English football pyramid to a long Premier League stint and a landmark FA Cup win in 2013. Aside from football, he is also the man behind the success of JJB and DW Sports. Commencing with a drinks reception, a three course meal will be enjoyed in the company of many leading Yorkshire businesses and familiar faces too, before the line-up of Chairmen take to the stage. Tables and individual seats are now available for this unique insight into the most important role in football – please contact katie.barraclough@htafc.com or mandy.taylor@htafc.com for full information. Proceeds from the event will ensure that the Town Foundation – the registered charity associated to Huddersfield Town – can continue its work with children and young people in the community. 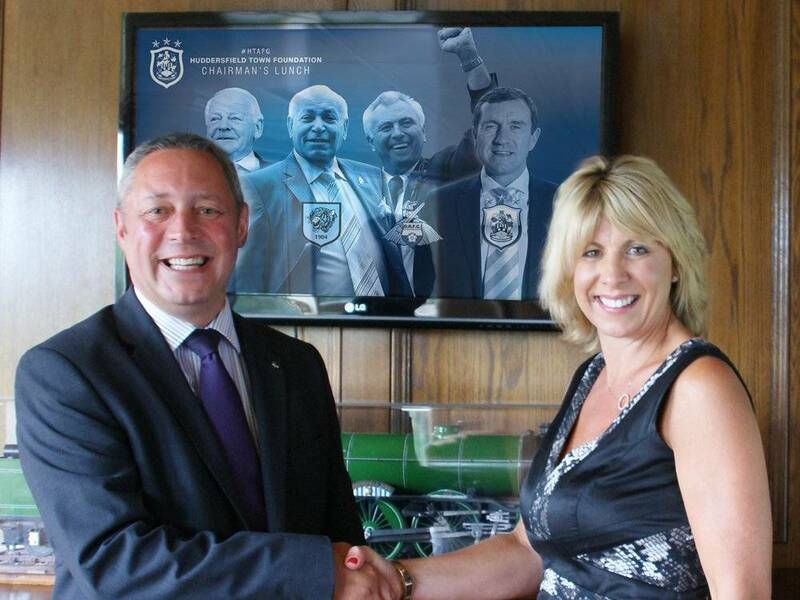 For more information on the work the Town Foundation undertakes, please visit www.htafcfoundation.com.